So my cousin woke me up at 8 on the first day to get ready for breakfast, I was in a daze and took my own sweet time, but she kept hurrying me and told me if I don’t hurry the queue would be insane. 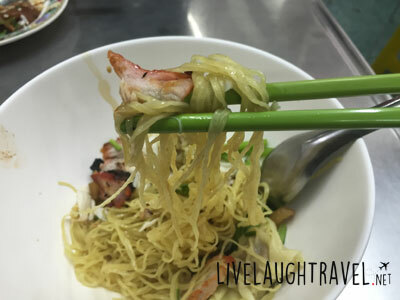 “It’s the tastiest wanton mee you will have”, she said. Just to set the record straight, I’m not the biggest wanton mee fan, and I don’t quite fancy queuing for food unless its Ichiran (slurps). But anyway, we stayed at Amari Watergate at Pratunam, and we left our room at 840am. I followed behind her while she led me just 2 streets behind our hotel and into an alley, just a short 5mins walk away. 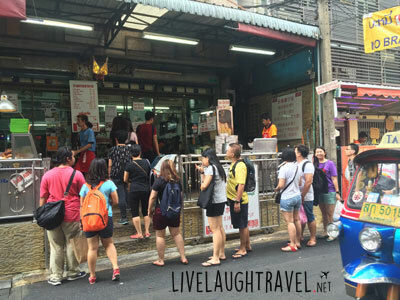 From afar, I could see there was a store ahead that had a string of people forming a long line at the side of the busy street. 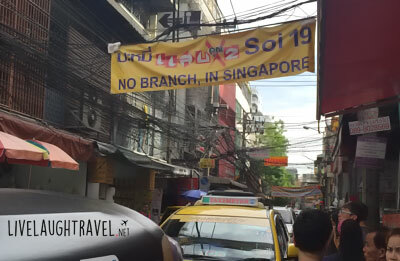 We reached the end of the queue and above the store hung a huge yellow banner with Thai words and a “SOI 19, NO BRANCH IN SINGAPORE”. The stall wasn’t even open yet and hordes of people were already in line waiting for the stall to open at 9am. I could finally see why she was rushing me but I honestly still wasn’t sold by the hype. Like I said, I don’t fancy wanton mee. So finally the doors open and there was a really fierce lady at the door asking how many pax and if everyone is present, before she lets you in to the table. After we settled down, I understood why everyone was queuing way before the shop even opened, that is because they all wanted to be on the first wave of customers to get in. The store was small and tight, and the place quickly filled up with people. There wasn’t a menu and they only offered 2 dishes. So obviously we ordered 1 of each, of which 1 being wanton mee and the other is a braised pork rice. The wanton mee was served in a huge bowl but the serving was, I would say, rather bite sized. 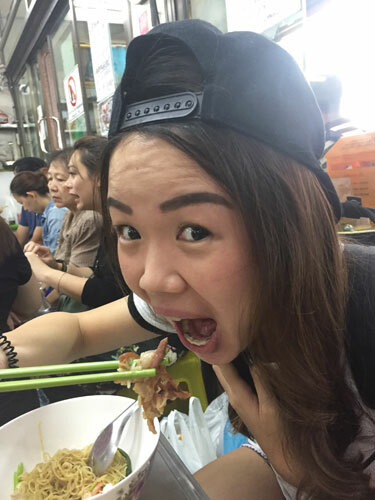 You can literally finish the bowl in 3-4 mouthfuls, and it costs SG$4, which is quite expensive for a dish in Bangkok. Well with that being said, I tried the wanton mee and I wouldn’t say I didn’t like it, as it didn’t taste like the regular wanton mee we have back in Singapore. Yes it was tasty, the noodles were kinda springy, but it didn’t blow me away. Personally, I wouldn’t come back to queue for this bowl of noodles at such a price tag. BUT, the seemingly uninteresting plate of braised pork rice came when I was halfway into my bowl of noodles. I scooped a huge spoonful of the rice and topped it with the meat and OHMAHGAWD it was sooooooo good. The meat literally melted in mah mouth. It was so soft and tasty, and the salted veg at the side absolutely complimented this simple dish perfectly. I loved every bit of it and I finished the plate instead of my noodles HAHAHA. 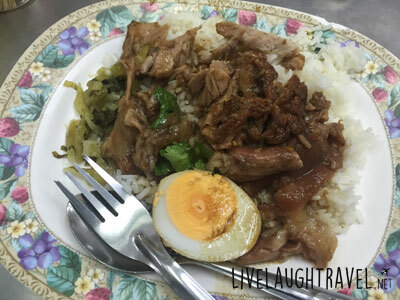 And so, we went back the next few days for breakfast too (partly because there wasn’t much breakfast choice as well), and I had the braised pork rice 4 mornings in a row. I absolutely love it, so join the queue guys, YOU HAVE TO TRY IT! Don’t forget to subscribe to our Singapore Food Blog mailing list for more of such MUST TRY food recommendations from around the world!